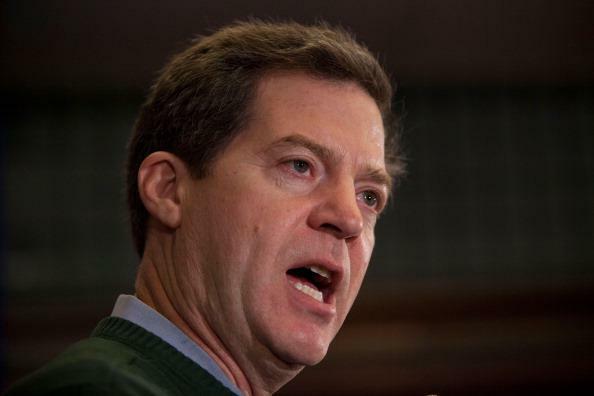 Kansas governors' race: Sam Brownback having budget-related problems. Based on recent results in presidential elections—and the fact that the state has had exclusively GOP-affiliated senators since 1939—you’d be forgiven for thinking that once Kathleen Sebelius left for D.C., there were literally no non-Republicans left in Kansas to run for office. But that isn’t the case, and two recent New York Times stories document a moderate backlash that could land a Democrat in the state’s governorship and an independent in one of their Senate seats. Brownback’s opponent in November is Democrat Paul Davis, and the race is a toss-up. Also very close: the Senate race, which the Times wrote about earlier this month. Incumbent Republican Pat Roberts is facing an independent challenger, Greg Orman, who’s polling very well; Democratic candidate Chad Taylor is trying to take his name off the ballot in what’s assumed to be an effort that to increase the chances that Orman wins.